At it again! I just can’t help it! 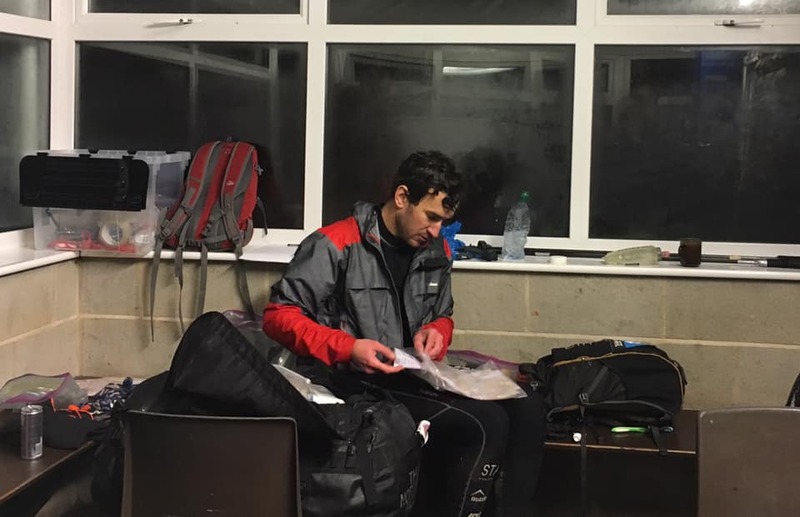 Last year, in 2018, I gave all I had in both my training as during the race as I was super focused on the Spine Challenger 2018. My very first attempt at running an ultratrail was the 2017 Spine Challenger. That year I managed to finish in 4th place. After having this result at my first ultratrail I believed that I had what it takes to win the race. As long as I kept the right focus during both training and racing, I knew it was possible. A long story short, the race conditions in 2018 where perfect, my preparation couldn’t have been better and so I did as planned and not only win the race but even managed to break the track record by more than two hours! When I finished I was asked: “Will you be back for 2019?”. My answer was: “No, I won’t”. I wasn’t sure if I could have the same intensity and focus again, as December is the month of festivities and acting social. I had been training very hard the last months for the World Championship Adventure Racing with my team Berghaus Team Switzerland. We raced the World Championship at la Reunion and after 6,5 days of non-stop racing (trekking, biking and kayaking) we finished 15th. After this race I was very tired, but I knew that the Spine Challenger was coming closer and closer. At that point I hadn’t signed up yet, but I had checked with Scott (race director) if they still had a spot available for me. The end of November slowly crept closer and I was still mostly recovering from the World Championship. I still wasn’t sure if I should race the Spine Challenger again. I knew deep inside that I really wanted to do so. However, last year there had been no pressure as nobody knew me, while this year a lot of eyes would be on me. I had trained very hard for the world championship and we had a great race, so I knew I was in a great shape, but was I going to be strong enough to win the race again? I scrolled through the list of participants and saw that Simon Bourne (runner-up 2018) had signed up. Last year it took me more than 100km to get away from him, and I knew he would be focused on winning this year. Scrolling further down I was both surprised and intimidated to find Jim Mann on the list. I know Jim as a great and very strong athlete. I had been following some of his results for the last 2 years, and knew that he was in amazing shape and going to be the Mann to beat for this race. If I was going to enter the race I would need to accept that there was going to be a realistic chance I would be racing for 2nd place. For the world championship I trained a lot of fast trekking, as we don’t run that much during these type of races. For the Spine Challenger I knew I needed to run, so I started training again and run almost a 100km a week. However, I live in the Netherlands where all is mostly flat and a lot is tarmac. To test myself I signed up for a 51km trail run in Belgium with 2000 altitude meters. Not sure if I had recovered enough I held back for most of the run. At the 47km point I still felt very good so I started to speed up and managed to pass 8 runners in the last kilometers. In the end I finished 19th, a position I was pleased with at that moment. The following weeks I made sure I was running more than 100km a week and next to that I trained several hours a week in the gym both on the treadmill set on the maximum incline and on a stair machine with an 18kilo weight vest just to make sure I had done some uphill training. After some weeks of training I was feeling stronger and more confident about my running again. Time to sign up! So on the 20th of December I signed up, booked my flight and housing and started to get the race kit out again! In between I also had been moving to another house (together with the girlfriend, she didn’t kick me out for racing another Spine Challenger). At 07.59 it’s the same old story, I find myself at the front of the start of the Spine Challenger. To the left of me is Richard Lendon ready to win his traditional starting sprint. To the right is Simon Bourne, he looks in shape and I expect we will be running together again. At the front there is no sign of Jim Mann, I knew he is here as I had said hi to him at the race HQ, so I guess he will have a relaxing start in the back. With my kit down to 5 kilo including food and water, I have managed to have a lighter pack than last year. The countdown starts and Richard sprints off. But before we leave the parking lot I find myself once again leading the race. This year I feel right at my place leading the race and I don’t look back. I didn’t expect to run off so easy, but I know my own strength and don’t hold back. When I get in the fields I need to open several gates and I look behind to see that I have already opened a gap between me and the next person. So no Jim and no Simon. I keep running and I get hit in the face by a strong wind. What a complete difference from last year when the wind had been in our backs for almost the whole run. This year I am meeting a gale force straight on and I actually wished I had somebody in front of me to shield me from the wind. After I pass down Upper Booth, I start running uphill towards Jacob’s Ladder and Kinder Scout. While running uphill I pass a mountain biker and think I might be going too fast, but I feel great so keep up the pace. At the bottom of Jacob’s Ladder I slow down to hike it up as it’s a steep climb. Halfway up, I look behind as I hear someone coming up. A bit surprised, but not really, I see that it’s Jim Mann who is running up Jacob’s Ladder. In the two previous years I have never seen anybody run up Jacob’s Ladder, as everybody saves his energy for the more than 170km which is to come. As Jim passes I say: “Hi”, Jim says: “Hi”, and that’s it. 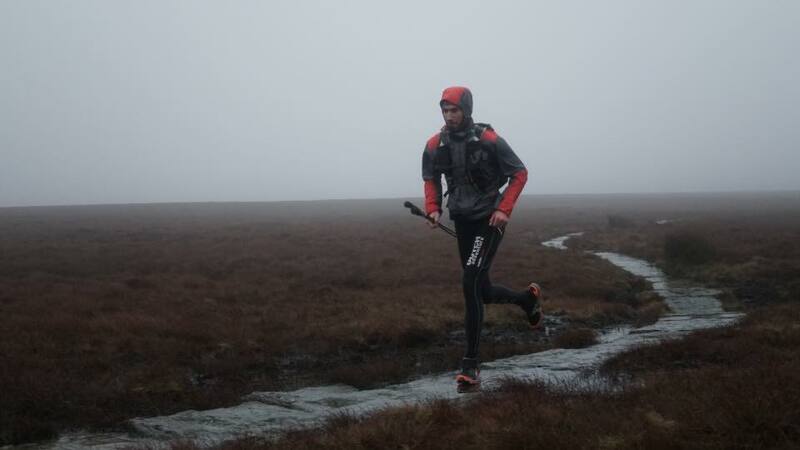 He passes me and runs off into the fog which surrounds Kinder Scout. For a few seconds I am playing with the thought of keeping close to Jim, as he makes it look so easy. But I decide to keep to my own pace and plan. And that is all I have seen of Jim or any other racer! As I go up on Kinder Scout I enter the fog. I can’t see far in the fog, but I can see enough to keep a nice pace. The GPS is very helpful, but as I look at the GPS a bit too much I manage to stumble several times and finally to crash to the ground. As I crashing I drop my GPS, but luckily it’s just dirty. I tell myself to concentrate and to look where I am placing my feet as it’s a long way to go. I pass Kinder Downfall which is no waterfall, but flowing up due to the wind. I get wet as I pass it. I reach for my bottle for a drink, but it’s not there. I seem to have lost my only water (the rest of my bottles are empty to save weight). A little bit later I find an empty water bottle on the path and I assume it’s Jim’s (after the race we told me it wasn’t). I take it so once more I comply with the rules of having 2 liter water carrying capacity. But I still have nothing to drink. It’s still early in the race, so I don’t need any yet, but I am keeping an eye out for streams. The upside of this all is that my gear no only weighs 4,25kilo. After 1 hour and 40 minutes I pass Snake Pass in 2nd place. Luckily for me there is a Mountain Rescue post with water, so I fill my bottle and take a few big sips. Filled up on water I continue on through Devil’s Dike towards Bleaklow Head. In 2017 we had a lot of snow up here which made it hard to navigate, but this year there is no snow, so it’s easy running. Still as I remember the navigation problems we had I keep a focused eye on my GPS. My intestines give me some problems and I wonder if I have been going at it too hard. I reduce my speed a bit, take some extra sips of water and the problems fade away. As I run down to Torside Reservoir I remember the last two years. In 2017 we were running here with ten guys looking for the right path in the snow. In 2018 Simon just had come up and we were eyeing eachother. This year, it’s just me. I try to see if I can spot Jim, but there is no sign of him. Which isn’t strange as when I am passing Torside I am told that Jim has already a 19 minutes lead on me. No way that I am going to catch him anytime soon. I can just hope that he burns himself up! I keep to my own plan while going up to Blackhill. Every time I go uphill I turn to some fast hiking, but I am running all the flats or downhills. Coming up towards Wessenden, I have once more run out of water. I stop a moment to refill my bottle in a stream before passing Wessenden Head. This place I remember quite well and I don’t need a map or GPS. I also remember another stream a few kilometers away which I used the year before. So I decide to finish all my water before I get there. I drink and eat as I have been at it for 4,5 hours already, but will need at least another 20 hours! At the stream I refill my bottle once more, while some hikers are looking strangely at me for drinking from the stream. In the open of Black Moss a string wind hits me once more, and I question myself if it’s worth to keep on running, or if I should turn to fast trekking. I decide to keep up my running as long as I can. As I pass the parking lot I meet someone who can tell me that I have a nice big gap on the next runner. That is very welcome news, but it’s still a long way to go! The next 15 kilometers until White House come easy. I enjoy the view and am amazed as how different all three editions of the Spine Challenger are. At White House I meet Mountain Rescue and I refill on water, get a cup of tea and they tell me that Jim is already at Stoodley Pike (about 8km off). I decide it doesn’t matters what Jim is doing, I just need to stick to my own plan and keep running! I set off again and about 50 minutes later I get to Stoodley Pike. It’s still light so I hope I can get down to Hebden Bridge CP1 before dark. As I run down I see some friendly faces from Berghaus, I tell them a quick hi, but I need to keep going! Nearing CP1 it’s getting dark. At 16.45 I walk into the CP with a faster time than ever before. Although the conditions are bad compared to last year, I am doing it a lot faster. So I must be in shape after all my training! At the CP I get my drop bag and I get my CP list out (it’s my list with all the things to do at the CP). The CP crew gets me a warm meal (which tasted great, thank you guys!) and some cups of tea. I change the GPS batteries, grab the next food bag. I change into a new hardshell jacket and put on a new buff. I put my headtorch on, drink some energetic drinks and eat some extra food and set off again in 16 minutes. As I had noticed it was getting a lot colder I have put on my rain pants and packed an extra lightweight jacket just in case. When I had set of at CP1 in 2017 I managed to take the wrong turn. So both this year and last year I am very focused on the track. I am happy with the decision to put on my waterproof pants as It’s getting a lot colder now it’s dark. I feel great but as I move on towards Walshaw Reservoir and Ponden Reservoir after that I have the feeling my pace is going down. This might just be the dark. But I start to look behind me to see if I can spot a light somewhere, but every time I look behind there is nothing to be seen. I am enjoying the race and the conditions seem to be fine enough. I am eating and drinking, so everything is fine. I have almost reached Lothersdale. I know there is going to be an extra refueling station and I am looking forward to a warm drink and a snack. After climbing up through a field and passing a house, a headtorch suddenly shows up 25 meters behind me. I get spooked in thinking somebody is catching up and I start sprinting off, knowing that if it’s indeed a racer, he is probably stronger than me as he just made up a big gap. 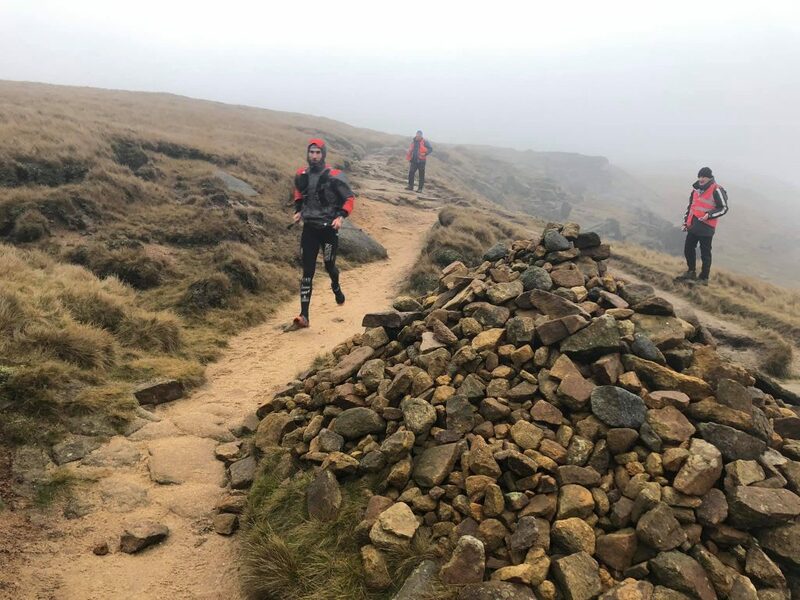 But a few minutes later I reach Lothersdale, the people there show me on the live tracking that the next racer is several kilometers behind me. So it was probably a local resident checking out what was happening out there. I get a drink and a snack and I am on my way again. After 3 years I know the track well, and I only look at my GPS to check myself. I know that after the next hill I will be getting to the flat bit of the race. I reach the canal and follow it towards Gargrave. In Gargrave I meet some friendly faces of the organization and once more I am able to refill my water bottles. I get some more information about the live tracking and I know I am doing well and have a solid 8km lead over the number 3 racer. 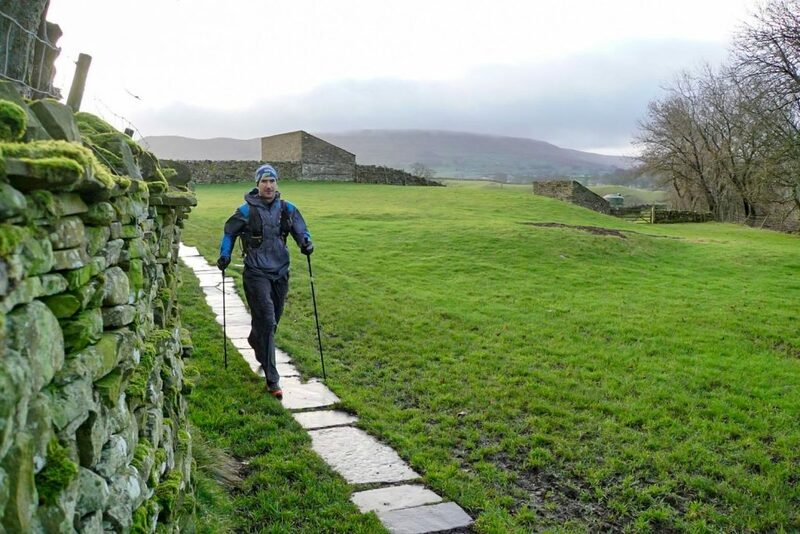 Last year I made my break for it at Malham, so I am quite confident that if I make it there in 2nd place, that I will make it to the finish in 2nd place. It’s about 10km to reach Malham, so I should be able to reach it without getting overtaken. This part is quite flat and goes through some muddy fields. I have to open and close a lot of fences. I reach Malham quite relaxed, but I get spooked once more by a light. I am not sure if it’s a headtorch, or something else. I speed up again, and look behind me several times, but don’t see anything anymore. I start ascending the stairs of Malham Cove and on top of the Cove I look down once more, but can’t see any moving lights as far as I can see. So my guess is I still have my lead. Around 02.00 A.M. I reach CP 1.5 at Malham Tarn. Here I change my headtorch batteries and I check the batteries of my GPS, but decide that these batteries are still fine. At the CP I ask if Pen-y-ghent is still to be climbed as I think the wind is really strong. I am told that it’s still part of the race. I prepare myself a freeze dried meal and after downing two cups of tea set off again. At CP1.5 they had a screen showing the live tracking. It showed me that the next racer still has to reach Malham, so I still have my 8km lead. With approximately 40km to the finish line I should be able to keep my position. I set of with a hot prepared meal in my hands, which I eat while going up to Fountain’s Fell. I know that this part of the route is easy to navigate so I have time to eat and make as much speed as I can. Once again I am enclosed by fog, but that doesn’t matter much to me as it’s early morning and dark anyway. I reach the summit of Fountain’s Fell and once more get hit in the face by the strong wind. It’s slippery going down and I slow down a bit. I reach the valley bottom and turn to the direction of Pen-y-ghent. The climb up to the summit is steep, wet and slippery. Twice I almost get blown off my feet while I climb up. At the summit the wind is really strong and I don’t want to spend any more time up here than necessary. I run down the summit stairs and have some real troubles with the wind. Several times the wind plays with me and the wind just pushes me to the side. I try to go as fast as I can and prepare myself for Cam Road which will be really exposed to the wind. As I reach Horton in Ribblesdale I know it’s just another 25km to reach the finish line. But most of this will be uphill and in the wind. I get to the last water post and refill my bottles for the last time. Here is a mandatory kit check as I get told that the winds at Cam Road are really strong. I show my goggles, gps and matress and I am on my way again. The first part is easy and I try to eat and drink as much as possible. I try to keep my uphill pace and I feel that I am making a nice progress. I check my watch and I am guessing that I am still almost as fast as I was in 2018, although the conditions are far worse. With my time in mind, I set myself the goal to finish in a faster time than last year. Everything is going well until I reach West Cam Road. I am less than 10km from the finish but the wind here is gruesome. I am constantly being pushed to the side by a very strong wind, which almost pushes me of my feet. There is no way that I can make any real speed. When I try to run, I get pushed to the side. I need my poles to stabilize me, and I can’t go any faster than fast trekking. When I am finally to leave the Cam Road, I hope to pass over the hill to get out of the wind. Unfortunately, there is no cover from the wind and it keeps hitting me. Now, after more than 25 hour, I can see Hawes and know that Hardraw is just around the corner. The last kilometers are on very wet ground, so once more I have cold and wet feet, but I it’s almost done. I look at my watch and I see I am running very close to my time of last year. I try to speed up one last time to see if I can break my own record. When I get into Hawes I see that I have only 7 minutes left and at least 3 more kilometers to go. I am not going to break my own time and I slow down to walk the last part. Just a few more gates to pass, before I am to enter Hardraw where I meet the media crew and the volunteers who are cheering at the finish line! 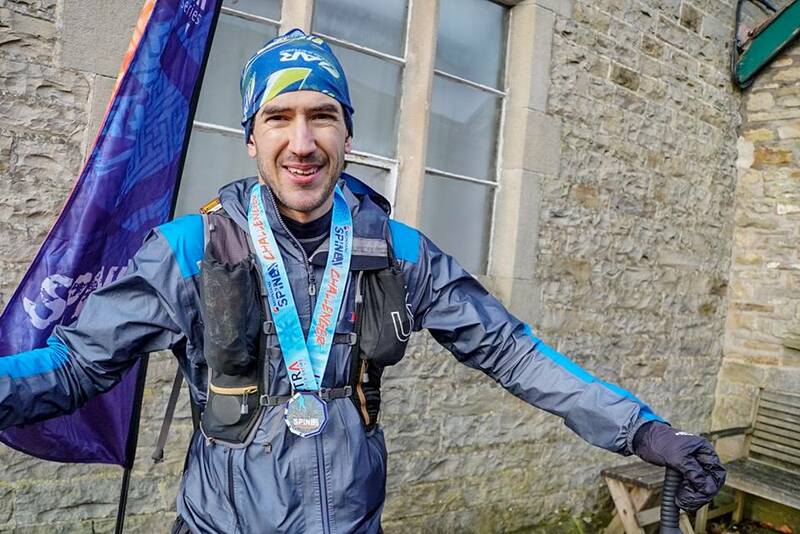 After 25 hours, 56 minutes and 52 seconds I finish the Spine Challenger 2019 in 2nd place (less than 15 minutes slower than my 2018 track record)! Will I be back for the Spine Challenger? While running my answer was going to be a definite: “NO”. I still love the race and landscape, however after finishing the Spine challenger 3 times it might be time for something new! I am eyeing the full Spine, but I am also looking at the summer editions. In the dark of the winter I am missing a lot of the landscape as there is only 8 hours of daylight. I would like to see Malham Cove once! I have no idea what it looks like! So YES, I will be back to race the Spine, I just don’t know when! A big thank you to my sponsors for their support so I can race lighter and faster! 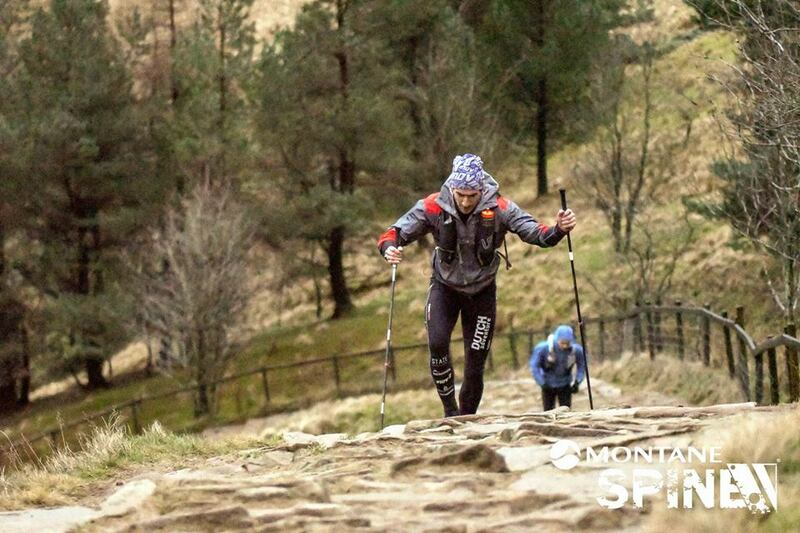 Thank you: Berghaus, INOV-8, Compressport, Ultimate Direction, Hangar18 and Black Diamond. Also a big thanks to the photographers and all the great pictures they made! I don’t know exactly who you are, but if you want me to give me you the photo credit, please let me know. Also if you don’t want me to use your photo’s please let me know. 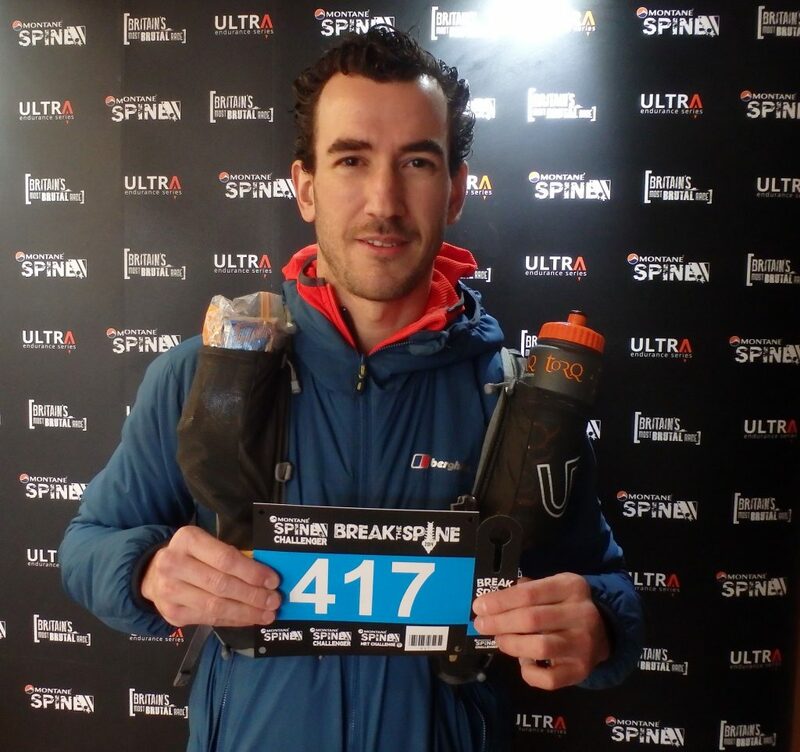 No Replies to "Spine Challenger 2019, Race report Wouter Huitzing"